Bismillah – let the Salaat Series begin Inshallah! I remember growing up with the sounds of the calls to prayer surrounding us 5 times a day, and it is one of the things i really miss now that I live in London! But Alhamdulillah, there are now many resources we can use to bring this beautiful reminder for Salaat time into our houses. 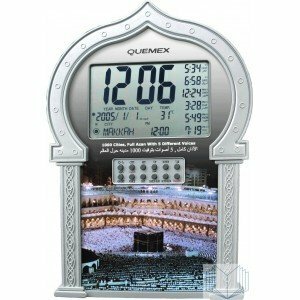 Islamic channels on TV, apps on phones, programs on PCs and Azaan clocks are all ways we can have this at home to make the children aware that the time for Salaat has set in. Not only is it beautiful and a reminder, the Azaan has an awesome effect on us too! P.S. Need more ideas from all you fabulous inspiring parents out there – please inbox me!